The veterinarians of the Black Forest Veterinary Clinic provide comprehensive veterinary services in a compassionate atmosphere that celebrates our bond with our patients and their owners. For over 20 years, it has been our pleasure to serve the pets of Black Forest and surrounding areas. We are pleased to welcome you to our extended family. Dr. Colleen Liebers grew up in Akron, Ohio, and attained her Bachelors of Science degree from Cleveland's John Carroll University. She moved to Columbus, Ohio, to complete her Master's degree in Veterinary Public Health and veterinary degree at Ohio State University. After graduating she worked in a small animal practice in Columbus and volunteered at an animal shelter. She and her husband decided to move to Colorado Springs in 2014 to be closer to family and the mountains. To help better serve her four-legged friends, Dr. Liebers is currently taking classes to become certified in veterinary chiropractic. When she is not studying for her certification, she is trying to wrangle her very opinionated toddler and her two Great Danes. She enjoys doing triathlons with her husband, reading, and watching movies with her family. Although she was born in Denver, Colorado, Dr. Meghan Holcombe and her family were relocated to several different states throughout her childhood due to her father’s work. She attended Ohio University and graduated with her Bachelor’s degree in Biological Sciences. She then attended The Ohio State University’s College of Veterinary Medicine and graduated in 2009. After graduation, she returned to Colorado to be near her family. 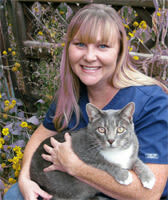 She has been in veterinary small animal general practice in the Colorado Springs area since 2009 and joined the Black Forest Veterinary Clinic in August of 2017. While not working, Dr. Holcombe enjoys playing golf, traveling, enjoying outdoor activities, spending time with her four-legged fur babies and of course, rooting for the Ohio State Buckeyes’ football team. Dr. Ballotti loves being a veterinarian because of the difference she can make in the lives of her clients and their patients. Her passions lie in small animal surgery and practicing medicine for avian and pocket pet species. Dr. Ballotti joins Black Forest Veterinary Clinic from Colorado State University with her Doctor of Veterinary Medicine degree. 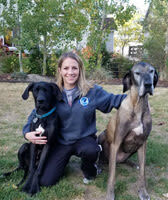 Upon graduating in 1992 she has worked in her native state of Colorado in the small animal daytime and emergency medicine; Dr. Ballotti has even provided some shelter work at spay and neuter clinics. When Dr. Ballotti isn’t treating her patients, she can be found at home with her husband and their furry children: a Basset hound, four cats, and 8 equines. A fun fact (or three) about Dr. Ballotti: she drives a team of Percheron horses with her husband; she trail rides with her mule, Blueberry; and she is also a master falconer. Come and meet our newest veterinarian! Dr. Ted Mohr is a Colorado native growing up in Denver. He attended Colorado State University for an undergraduate degree and continued getting his Doctor of Veterinary Medicine degree in 1978. 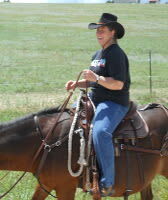 After graduation, Dr. Mohr went to work in Phoenix, working in a small animal and equine practice. He returned to Denver working emergency and practiced small animal surgery and medicine in Aurora for 15 years. In 1994, he purchased the Black Forest Veterinary Clinic and has been there since. Dr. Mohr has a special interest in small animal medicine. He has been a part of the Black Forest Community for over 20 years, raising his family there. He had retired in December 2016 but had found the need to return to the clients of the Black Forest Veterinary Clinic. You will see Dr. Mohr working limited days, also being semi-retired. 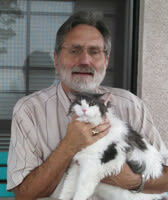 Dr. Mohr, over the years, has had 3 dogs and over 10 cats (including 3 clinic cats) during his practice career. His hobbies include baseball history, antiquing and traveling.